I am going to start a movement to ban alcohol at NCAA Selection Committee hotels in the future. The obviously liquored-up 2013 committee placed Oregon in the 12 spot in this year’s bracket, a spot normally reserved for SUNY/Stony Brook, IUPUILSMFT. and Washington. The Ducks victory over Okie State, though not unprecedented (especially this year), was a statistical anomaly. Since the current seeding system was put in place 12/5 has played 112 times. In 87 of those occasions, coming into this year, the 5 has proven victorious. 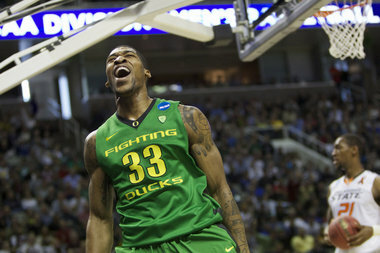 What the Ducks accomplished was admirable and to win it going away made it just that more succulent. went into the 4th quarter with a lead. 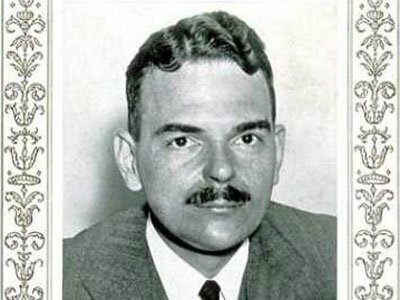 Dewey went back on defense pounding himself on the chest after hitting a couple of three-balls and it looked like the rout was on. Harry Truman, though, gave ’em hell and declared “The Ball Stops Here.” It did. Dewey went cold, Huey and Louie were unable to pick up the slack, and the Kansas haberdasher went on to victory. Truman went on to defeat the University of Japan later. 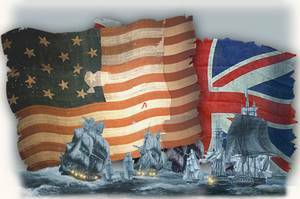 (12) American Colonialists v. (5) Great Britain: It looked like home court was all that the 12th seeded American Colonialists had going for them in this 1776 first round game. 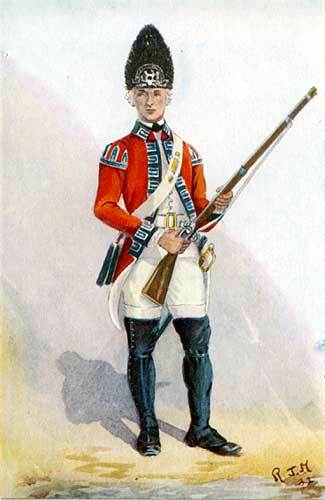 Great Britain had more firepower, more resources from deep pocketed alums and really cool uniforms. Unfortunately for coach King George III, the colonialists prevailed. Only because coach George was also the primary booster was he able to maintain his position as Coach For Life. Colonial team captain George Washington carved up the defense with deft shooting and an indomitable desire to see his face on money. The colonialists followed up this victory by pounding the same opponent 36 years later. Francis Scott Key sang the national anthem before that game, since he was the only one that knew the words. But young David could really shoot the rock. That ability, along with the outstanding coaching that he received from God, carried the day. Will Oregon/Oklahoma State go into the annals of history the same way these other upsets did? Well it should! After all, we’re only little Oregon and they’re BIG BAD Oklahoma State! Ha!! !